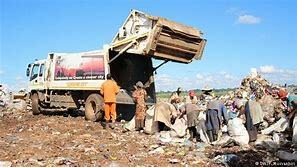 Harare City Council has suspended 26 refuse compactor drivers who were moonlighting while on council duty and using the city’s vehicles, compromising waste collection. This led to garbage piling up in most residential areas, presenting citizens of the capital with a potential health hazard. The drivers in question would allegedly rush residents and at times fail to collect garbage in some places while rushing to do their side work. Sources in the Waste Management Department said the drivers would take council compactors without permission and collect waste before taking the trucks to secluded places where they would select materials which can be bought by companies in the recycling business. Thereafter, they would load the items in council refuse compactors and take them to the buyers. The offence came to light when the drivers started resisting council procedure to search vehicles on exit and back in station. Harare corporate communications manager Mr Michael Chideme yesterday confirmed the development, saying investigations were in progress. “We want to establish why they were on a go-slow or why they were not performing their duties,” he said. Meanwhile, the Human Resources and General Purposes Committee raised concerns regarding the work culture and level of supervision in council during its recent meeting. Acting human capital director Retired Major Matthew Marara advised the councillors that council was coming up with performance contracts for lower-level employees. “The committee also expressed concern that lower-level employees were allegedly not performing their duties diligently and tasked the Acting Human Capital Director to expedite performance contracts for lower level employees,” reads the minutes. Rtd Maj Marara further advised that on a quarterly basis, management would report to council regarding the performance of departments pertaining to service delivery. The committee emphasised the need for council to put in place performance targets in all work disciplines as expeditiously as possible and requested that control measures should also include a list of vehicles in council and authorised to drive them.